The ONEPROD HAWK has been chosen as a finalist for the 2015 Product of the Year Award by Plant Engineering magazine. 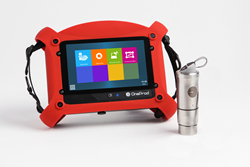 The ONEPROD line of condition monitoring solutions from ACOEM are sold by VibrAlign, Inc., the exclusive U.S. distributor of both ONEPROD condition monitoring tools and FIXTURLASER shaft alignment products. VibrAlign, Inc., U.S. distributor of ONEPROD condition monitoring tools and FIXTURLASER shaft alignment products, is proud to announce that Plant Engineering has nominated the ONEPROD HAWK as a finalist for the 2015 Product of the Year Award.